Those with a desire to help others may want to seriously consider a career in addiction treatment and counseling. It’s by far one of the more respected paths in the healthcare profession, requiring patience, perseverance, and an almost endless supply of compassion and empathy. Where are Jobs Available in Addiction Counseling? 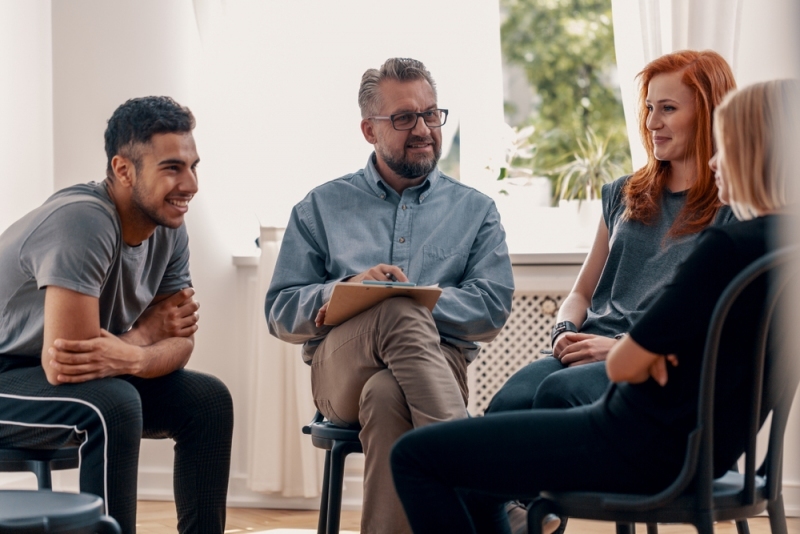 Careers in addiction treatment and counseling are available virtually everywhere but tend to be concentrated in areas of high population density. For instance, careers in drug and alcohol treatment around Southern California are fairly common given there are over 23 million people living in that part of the state. The same can be said for the New York-New Jersey region, New England, Pennsylvania, Ohio, Florida, and parts of Texas. Wherever there are lots of people, there are opportunities to help those suffering from addiction. What are Examples of Careers in Addiction Counseling? There are many paths that you can choose in order to help those who are suffering from addiction. You may choose the path of an addiction counselor. Your main role will be to provide a victim of substance abuse with an action plan to treat addiction. You will provide support for the patient and family members of the patient throughout the recovery process. You may also choose to become a vocational counselor, assisting patients in picking up their lives with meaningful work once they are in recovery. You can also be a resource and mentor after a patient has left a treatment facility. You may choose to be a psychologist. As a psychologist, you can take on the important job of helping victims of addiction to understand the underlying cause of their illness, what they can do to cope with temptation when they leave rehab, what may trigger them to turn to substance abuse again, and how they can choose healthy alternatives instead. If you choose to take your education a step farther, you can earn a medical degree as a psychiatrist in order to find the link between mental illness and addiction that is a problem for so many patients. At that point, it will be possible for you to prescribe medications that can be effective in treating every aspect of a patient’s condition. Nursing is another option that can put you on the front lines as patients come into rehabilitation facilities. Yet another important job related to addiction counseling is a sober coach in which you will provide support for a recovering addict when it is time to transition from treatment to the real world. Addiction recovery requires a great deal of support from dedicated individuals with compassion. If that sounds like you, you can open many doors to a career in addiction counseling. No one said addiction counseling would be easy. Neither is the struggle against addiction. When you choose to devote your time and energy to helping others in the fight against a tenacious disease, you will have a positive impact on those who cannot help themselves. You’ll work together toward one common goal as you help victims of substance abuse to find their way toward freedom from the source of their addiction. It takes a team effort to succeed. You can be the head coach.